Here are a few UI - Frameworks Interview Questions for you! 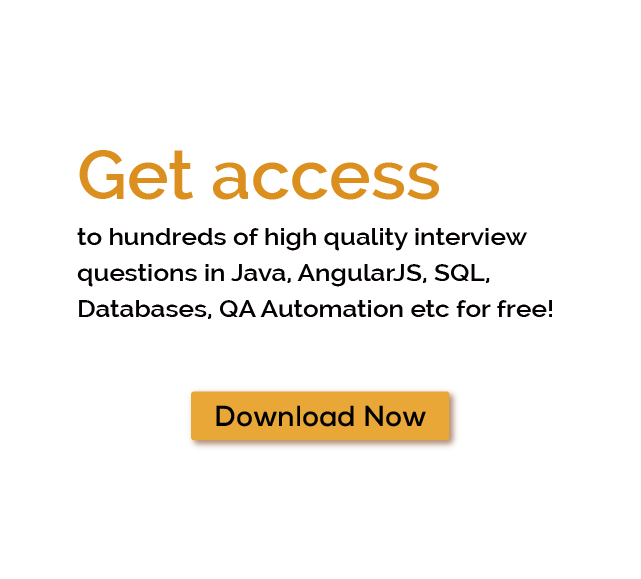 Download more High Quality UI - Frameworks Interview Questions! User interface (UI) design is a large and innovative field of software industry. It is a combination of content, creativity, color, graphics, and behavior. UX designer generally focused on digital product. As a UI UX designer, your goal is to create a User Interface that is creative and beautiful. If you want to create user-friendly design then you have to connect users emotions, so you can easily understand the need of end user. UX Design refers to User Experience Design and UI stands for User Interface Design. Both elements are crucial for project UI and they work together but both play a different part. UX design is a more technical field as compared to UI. Term UI design is closer to graphics design. User experience Design: - It is the process to improve the usability of a product it also enhances the user satisfaction. In general feedback that a user has on different stages of using the product. UX is based on many factors such as utility, usability, attractiveness etc. when you get some positive feedback about the product. User Experience research: - A User Experience research is a process of discovering the user requirement. The work of User UX researcher is to collect all the uncover information and problems and provide a solution that helps to build a great UX Design. How it works: - Each and every website has an important concept of HCI (Human-Computer Interaction) because the success of a software depends on user interaction. Which factor user like the most and where is the possibility of improvement. A UX developer analyzes and evaluates all those factors which enhance the performance, utility, and efficiency. Always create a User Interface design as per your business goals and needs. Make a strong strategy that matches to your business goal. Developing User interface that is perfectly matched with your business requirements. Always create a unique and attractive UI based on the information received from customer. A user easily interacts with a friendly design and if you want to attract a consumer always build a solid design as per user needs. Any UX/UI agency must ensure about following requirements when building a structure. Always develop a user-friendly design. Offer a meaningful significant experience to the user. Complex website such as e-commerce where success is dependent on user interaction. User Interface Design: - User Interface design is the process of making an attractive User Interface for a website. As a UI developer, you must have ensured some important thing and remember all in your mind when you are working on User Interface. This is the access point where a consumer interacts with your website design. A UI designer focus on building an interface that is highly usable. In mobile an attractive android UI design is essential part because in mobile interface is everything that a user can see. How to build an attractive UI. When you building a UI so it’s your responsibility to deliver an impressive GUI that is based on a user’s need. Here are some tips that will help you to learn what is ux design. Ones you know about your user’s need it will easy to create a GUI. Make sure to consider the following when you create a great UI. Create a simple but attractive design: - An attractive interface are invisible to the user. A user avoids unnecessary elements and clear in the language that is used in message. Use Common UI element: - When you are using Common Element in your UI, user feel more comfortable. One’s user understand the language and know about the UI, they can easily interact with the system and should be able to transfer that skill to another part of the website. Build a purposeful page layout: - A page is an important part of the site. Careful placement of items on every page improves the visibility and readability of the page. Color and texture: - You can get the direct attraction of user when you use eye-catching color. These are the key to get the attention of consumer. Font and text: -Be careful when you are using a font and text. Different sizes of font and text arrangement help to increase the readability. Communication: - Inform your customer about the action, changes, and errors. Always use different types of User interface element to communicate. This is the way to improve the visibility of website. Structure hierarchy: - Always create a user untestable structure of a website. With the Structured hierarchy, a user easily interacts with your whole website. Interaction Design Concept: - The term Interaction Design means an Interaction between User and product. It is focused on the behavior of user. The main goal of an Interaction Design is to build a relationship between human and digital product. This concept satisfying the need of majority of users. If you want to become a UI/UX designer, the following tips help you a lot. Last word: - Creating a great UI/UX is not an easy task and this article helped to understand the concepts of UI and UX. Some of the many UI - Framework Interview Questions listed below will help you get an idea about what questions gets asked in such jobs related to Software Engineering & Tech. Get through the UI - Framework Interview bar with our selected UI - Framework Interview Questions for all UI - Framework enthusiasts! For thousands of similar UI - Frameworks Interview Questions login to our Website or download EduThrill. Experience the thrill of challenging people around the world on UI - Frameworks Interview Questions!